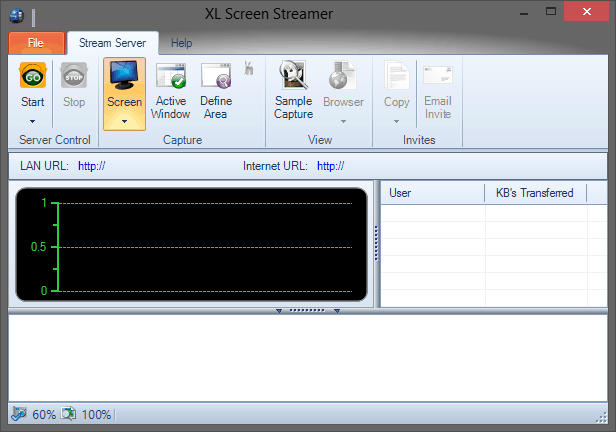 XL Screen Streamer - Broadcast your desktop online. 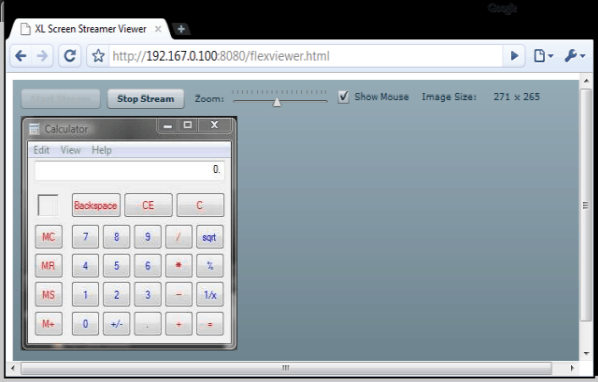 XL Screen Streamer allows others to view your desktop online using any web browser. You can share the entire desktop or a specific region of your screen. Broadcast your desktop globally. Free 30-day trial for Windows 10/8/7/Vista. Why use XL Screen Streamer? With XL Screen Streamer you can instantly create screen stream sessions and allow others to view what you see on your desktop in real time. It is the perfect tool for instant sales presentations, product demos, live training, or to help friends and family remotely. You can even leave it running on your machine to monitor any activity while you are away. Use built-in web server or external with FTP. 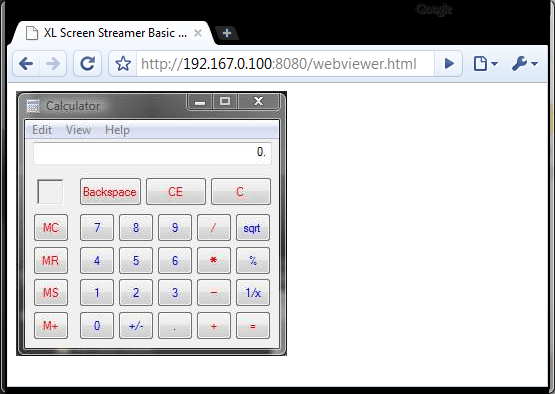 Support for secure streaming using SSL. 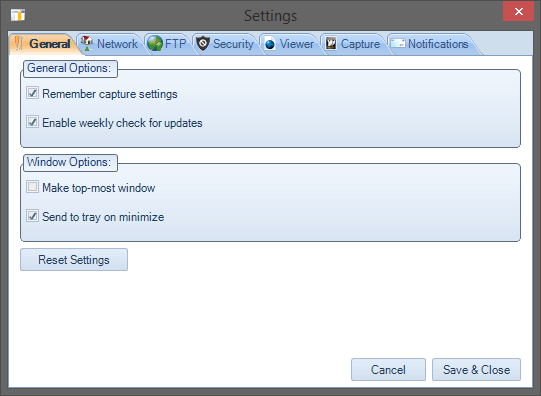 Share entire desktop or specify a region. Password protect screen stream session. Preview what viewers will see. Real-time mode allows viewers to see your screen with minimal lag. 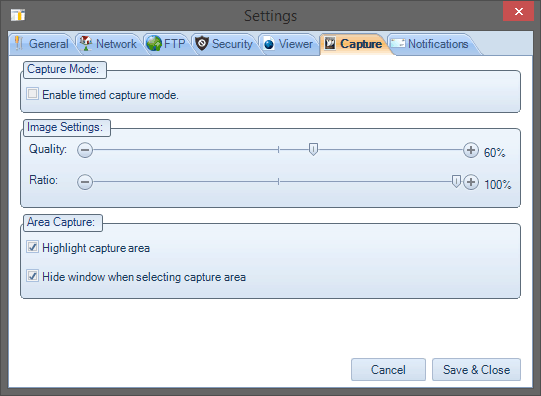 Timed capture mode allows you to transmit to many viewers at once. Screen stream to iPhone and Android mobile devices. 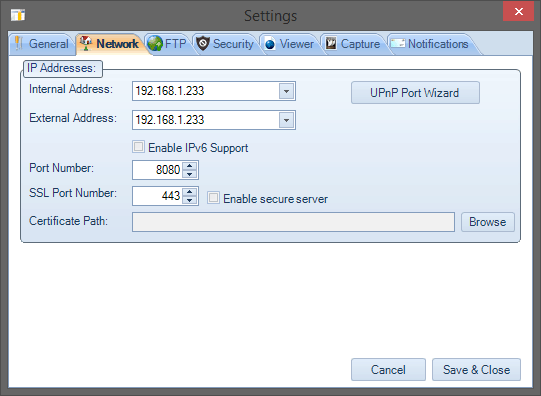 Router wizard helps configure your router's firewall to allow remote connections. The streaming server is self-contained, it does not rely on any external server. The screen images are sent directly to viewers from your computer. 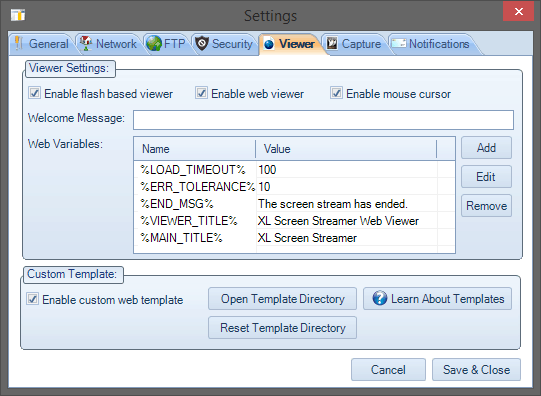 Other popular web-based screen sharing tools require the images to go through their servers before they go to viewers. The direct connection to viewers gives you increased privacy when sharing sensitive information. 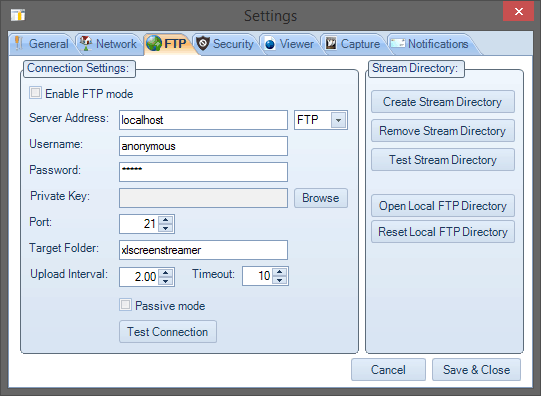 The streaming server uses an external web server by uploading images via FTP. Allows you to use an existing web server and integrate directly with any website. Share the entire desktop or a region of the desktop in real time. Viewers can connect using their regular web browser; they do not need to install any special software. Only pay once for a license key and create an unlimited number of screen stream sessions for as long as you want. No need to worry about a time limit or pay a monthly fee. There is no limit to the number of viewers that can connect to a streaming session. The limit is dependant on your network connection and operating system. Require username and password to connect to the screen stream session. 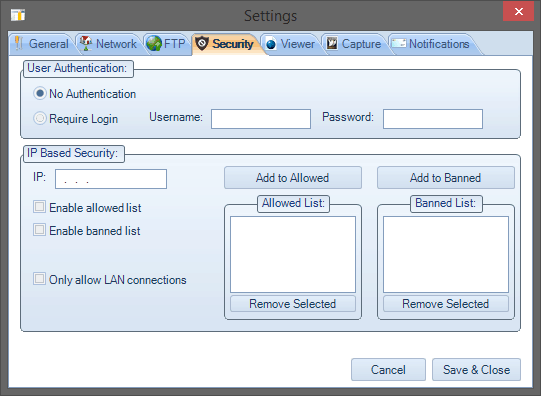 Use IP based security to allow/ban specific IP addresses. 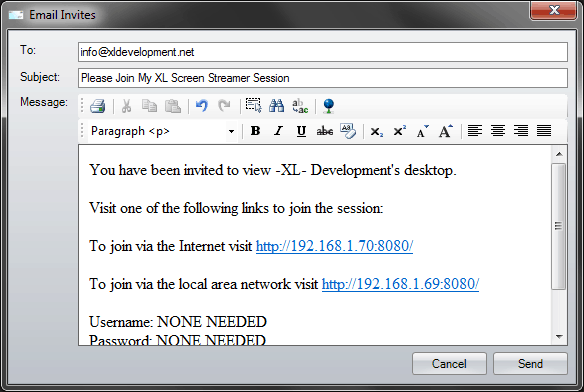 Send email invites inviting others to join your screen stream session. Share your screen over the Internet or Local Area Network. Easily configure your router's firewall to allow remote connections. 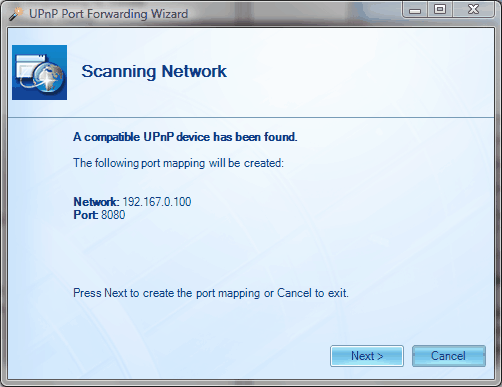 Your router must support UPnP technology.